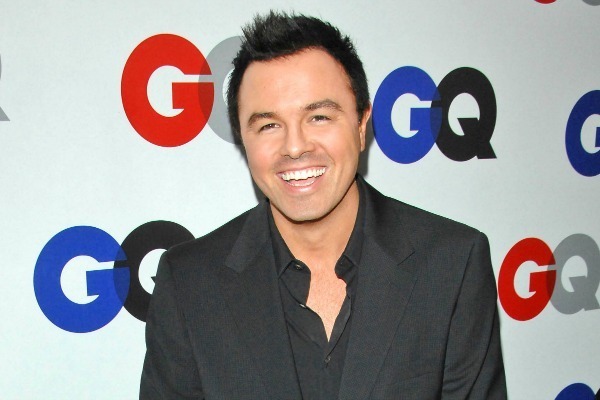 The VMA Preshow is underway, but we still have a some time before the actual show sets sail. 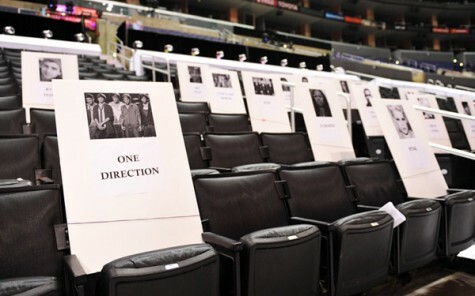 Last night new pictures of the seating arrangements leaked to the internet, revealing a few surprises. For starters all of the previously mentioned performers are accounted for in the audience, from Taylor Swift to Rihanna to One Direction. 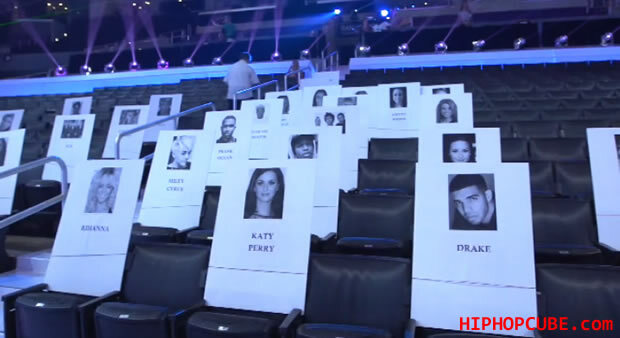 Many of the seating arrangements make sense, with Katy Perry seated right next to bff RiRi and on Katy’s opposite side sits Drake (rumored hook up buddy of Rihanna). In an interesting move Taylor Swift has been seated next to Lil Wayne, with a seat open between them (everyone cross your fingers that she brings Conor Kennedy as her date!) Also confusing, Miley Cyrus has been seated next to rapper A$AP Rocky (sorry who?) 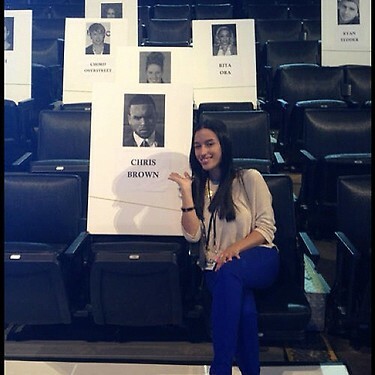 while her longtime bestie Demi Lovato is seated next to A$AP. Demi will definitely switch seats with the nice gentleman in order to get in some friend time with the newly engaged Cyrus. Meanwhile, Demi’s boo Niall Horan and gang One Direction are seated fairly far away from each other, as the band has been seated near Big Time Rush and Pink. Not really sure about the move to put two boy bands near one another. It could get messy. BUT, in probably the biggest news of the night Chris Brown has been reserved a seat in the VMA audience! He had recently been rumored to be performing with Rihanna, but his reps squashed that idea claiming he would not be attending the awards at all. With Drake and Rihanna being seated so close to each other, the real fight might be happening between Breezy and Drake. We’ll all be sitting on the edges of our respective seats in anticipation!